Portland home builders share that there’s more to the city than being on the east or west sides of the bridges, or north and south of Burnside. Portland neighborhoods, as you’ll find, are as diverse as their residents! North Portland: You know you’re in north Portland, or NoPo, when you see the St. Johns Bridge or a giant statue of Paul Bunyan. In this section of town, you’ll find the Portland International Raceway, Smith and Bybee Wetlands, Columbia Slough and the University of Portland. 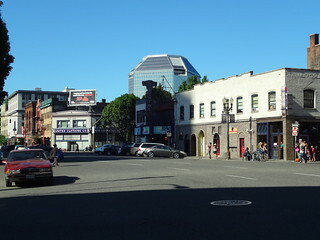 Northwest Portland: Northwest Portland is home to the trendy Pearl District and Chinatown, as well as the city’s shipping and industrial districts. In this area, you’ll find boutiques, art galleries, Forest Park, high-rise condos and historic walk-ups. Northeast Portland: Northeast Portland is a hot destination for its dining options and unique stores. In this area, you’ll find the Alberta Arts District, the Boise neighborhood and lots of cyclists. The area is also the home of the Convention Center, Rose Garden (where the Blazers play) and the Hollywood district. Southwest Portland: Southwest Portland is the home of the Portland Zoo, Washington Park, Japanese Gardens, Portland State University and the downtown area. You’ll find Pioneer Courthouse Square, several established neighborhoods (like Hillsdale and Multnomah), and beautiful parks, like the Portland Japanese garden, Hoyt Arboretum and more. Southeast Portland: Thanks to lower rents, new entrepreneurs often setup shop in southeast Portland. The resulting diverse boutiques, restaurants and cafes that line Hawthorne Boulevard and Belmont Street, and fill the Division/Clinton district, make this area one of the hippest in the city. The Sellwood neighborhoods, and others nearby, have more of a suburban feel with their two-story bungalows. This area is also where outdoor enthusiasts go to hike Mount Tabor or bike along the Springwater Corridor. East Portland: You’ll wonder if you’re still in Portland when you go to the east side of the city because of its rural feel. This area is home to the Gateway Business District, Knott Park and the Boring Lava Field. Zenger Farm, the city-owned, nonprofit organic urban farm is also here. For information about contemporary new homes in Portland’s neighborhoods, get in touch with H. Hudson Homes.